Short-lived label out of Chicago but one which would have long-term impact when it was reconfigured as Chess Records following its acquisition by Leonard Chess who began working for Aristocrat soon after its 1947 debut. Aristocrat Records was founded in the spring of 1947 by Evelyn Aron along with her husband and some friends, none of whom had any experience with making records. To compensate for this lack of know-how they hired Sammy Goldberg, a black man with a Jewish name who’d worked as a talent scout for other labels, and it was he who ran the music end and recruited many of the initial artists. The label’s good fortune was to be in the second biggest city in America at the time which provided a repository of talented artists and a ready made audience for their records. A generation of southern blues musicians – including Sunnyland Slim and Muddy Waters who were among Aristocrat’s first signings – had found the city to be incredibly receptive for their brand of music as the flood of displaced southern blacks who had headed north during the war in search of better jobs sought artists they could relate to, making Chicago a thriving blues market and Aristocrat tapped into that from the start with Aron a strong believer in the appeal of this seemingly primitive sound. But the city was also home to countless nightclubs and the musicians who made their living playing in such clubs, including saxophonist Tom Archia who anchored the Chess brothers’ Macomba Lounge house band, were versatile musicians who could adapt easily to the rigors of backing other artists on sessions as well as cutting records under their own names, giving Aristocrat a talented session group from the start. Leonard Chess himself got his foot in the door by bringing the label Andrew Tibbs, a young vocalist featured at his club who soon became Aristocrat’s most successful rock artist, and Chess parlayed this “discovery” into becoming a member of Aristocrat’s sales staff in the fall of 1947. By the summer of 1948 the Arons divorced and Chess bought out the husband’s shares and those of their friends and began running the company jointly with Evelyn Aron. The partnership wasn’t destined to last. The two had different ideas regarding musical output (with the crude and often vulgar Chess being decidedly more conservative in his artistic choices than the high-class, but decidedly more open to risk-raking Evelyn Aron). After Aron had struck up a relationship with a distributor she decided to get out of making records and start distributing them instead, selling her shares of the record label to Leonard Chess at the end of 1949 who promptly brought in his brother Phil as co-owner and renamed the label in early 1950. 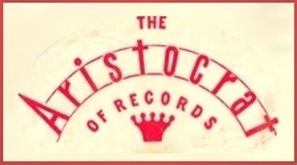 Though Aristocrat had consistent trouble on the recording end, with their masters notorious for poor sound quality which is all the more noticeable in the modern age, their brief time produced a solid roster of talent and strong business ties with distributors that served them well in the future as the label morphed into Chess Records which was destined to be one of the three or four more powerful independent companies of the 1950’s rock scene. NOTE: The numbering system for Aristocrat was frustratingly confusing, a product of their inexperience in running a label. Rather than number each release consecutively as most companies did, they instead gave each artist their own numbered series (100’s, 200’s, etc.) and each of their releases got the next number in line. As a result they had records coming out at the same time with prefixes far apart, thereby trying to make sense of their releases is largely an exercise in futility.